KARACHI: The Sindh cabinet on Saturday endorsed the removal of incumbent Inspector General of Police AD Khowaja and proposed the appointment of Sardar Abdul Majeed Dasti as the new police chief of the province. The meeting was presided over by Chief Minister Murad Ali Shah in which it was agreed that a Grade 22 officer should be appointed the provincial police chief. The Law Ministry and the Sindh Advocate General also endorsed the decision. The meeting gave the approval to remove Khowaja as IGP and surrender his services to the Centre. The secretary services told the cabinet that Khowaja, a Grade 21 officer, was appointed as IGP Sindh on Own Pay Scale (OPS) in March 2016. The secretary said that the Supreme Court had abolished all OPS posts, adding that the cabinet should surrender the services of Khowaja to the federal government and recommend Dasti for appointment as new IG of police. During the meeting, AD Khowaja recommended that a police officer should not be transferred before the end of tenure without substantial grounds. 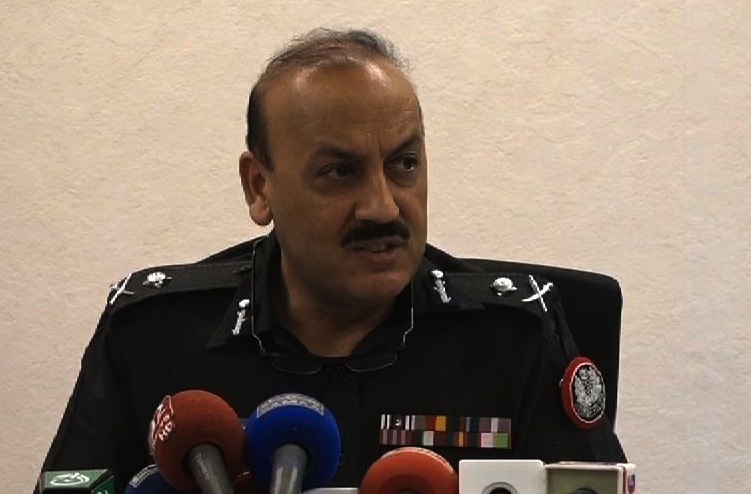 Khowaja said that the posting of the additional IG, DIG and SSP is for two years and for the rest of the ranks it should be one year, emphasising that the IG police should have the right to transfer police officers. In his recommendation, the Sindh IG said that the SHO should be upper school course qualified and should not be more than 55 years old. The SHOs should be of inspector or sub-inspector rank, he added. Following Khowaja’s briefing, the committee declined those recommendations. Earlier this month, Dasti – who is currently serving as the Additional Inspector General (AIG) (Research and Development) under command of AD Khowaja – was promoted to Grade-22 by the federal government, turning the incumbent Khowaja junior to Dasti. The move was deemed as another bid to replace the current police chief. The Pakistan People’s Party-led government of Sindh has been in months-long tussle with Khowaja over the post. The provincial cabinet had also given its nod for removal of the police chief in April but the decision then was reverted after a judicial intervention on the matter. In September, the PPP-led Sindh government suffered a blow after the Sindh High Court (SHC) annulled its decision to send Khowaja packing. The court allowed the police chief to continue his office. The bench, in its short order, set aside the government notification for relieving Khowaja from the IGP office, ruling that the provincial government could not remove an IGP sans any justification. The court also made it mandatory for the government to follow the verdict in Anita Turab case under which an IGP could not be removed from his post before completion of three years of his tenure.